Binge drinking is not often recognized as a women’s-specific health problem, but nearly 14 million U.S. women binge drink about three times a month, and consume an average of six drinks per binge, according to a Vital Signs report released this week from the Centers for Disease Control and Prevention. 1 in 8 adult women and 1 in 5 high school girls binge drink. Women who binge drink tend to do so frequently – about 3 times a month – and in large amounts – consuming about 6 drinks per binge. 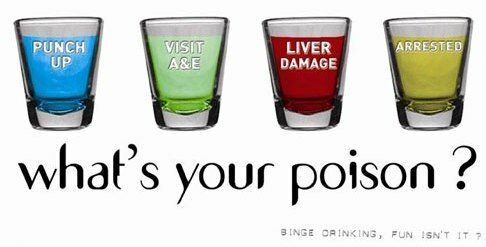 Binge drinking increases a woman’s chance of breast cancer, heart disease, sexually transmitted diseases, unintended pregnancy, and many other health problems. The report concludes there are proven and effective strategies to address excessive drinking, including binge drinking among women and girls, such as those recommended by the Guide to Community Preventive Services (The Community Guide). CDC scientists looked at the drinking behavior of approximately 278,000 U.S. women aged 18 and older for the past 30 days through data collected from the self-reported 2011 Behavioral Risk Factor Surveillance System, and for approximately 7,500 U.S. high school girls from the 2011 National Youth Risk Behavior Survey.